There’s no cooler biz on the planet than startups, and there’s no denying Silicon Valley is the startups capital of the world… for now. Cities all over the world are vying to knock the crown off this tech king. And Startup Genome has all the cities doing their best to keep up with San Fran sultan in its new Global Startup Ecosystem Report and Ranking 2017.
Who knows — maybe one will be home to the next Mark Zuckerberg or Elon Musk. The 150-page report is based on a year’s worth of research, spanning a whopping 10,000 startups and 300 partner companies. This is Startup Genome’s third comprehensive report, based on speaking with entrepreneurs and massive amounts of data on startups. Startup Genome examined how cities help growing and sustaining vibrant startup ecosystems through eight major factors: funding, market reach, global connectedness, technical talent, startup experience, resource attraction, corporate involvement, founder ambition and strategy. It may not come as a great surprise but this year’s top three startup ecosystems are Silicon Valley, New York, and London. However, there is a lot more to the report than the top few places. We at TNW wanted to take a closer look at each of the four regions detailed in the report. We reached out to JF Gauthier, CEO of Startup Genome, to discuss the report and to give us a clearer view of noteworthy cities in each region. The biggest news for the Americas is perhaps that the US is losing dominance to Asia and Europe. Los Angeles and Chicago, for example, had the biggest drop of the top 20 cities, mainly due their lowered scores in ‘global connectedness’. However, the US is still prominent within the Americas (and the world), with seven US cities in the top 20. Silicon Valley is still number one in most categories; however, the tech mecca has been ousted by Singapore when it comes to talent. 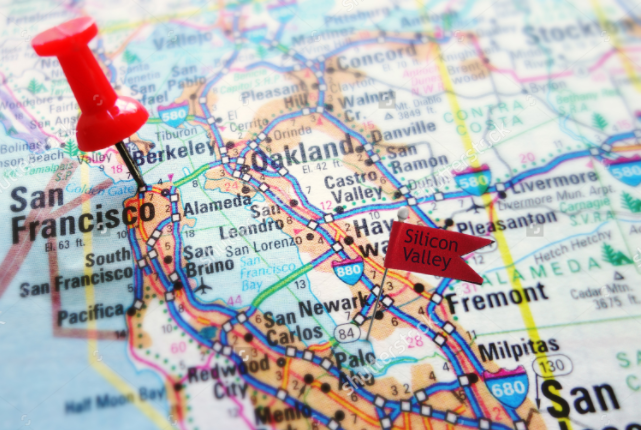 High salaries are one of the main factors why Silicon Valley has lost first place, along with the difficulties of early-stage startups to attract experienced talent. Despite two cities in the Americas having lost their seat in the top 20, Montreal and São Paulo, there are a lot of interesting startup ecosystems outside the US to look out for. Gauthier especially points out the Toronto-Waterloo innovation corridor. Toronto moved up on place and is now number 16 in the rankings. According to Gauthier, this is mainly because of how well Toronto-startups are connected to the global community. The main challenge in Toronto is that early-stage startups have some difficulties with accessing experienced technical and growth talent. The Canadian venture capital community has grown substantially and savvy international investors are recognizing that Toronto is an under-tapped market for technology, in fields including AI, fintech and health. As a result, we’re seeing higher raises and record venture capital funding. I think where Toronto really stands apart from other North American cities is on talent. Toronto is the most diverse city in the world, so founders are able to build diverse teams and take on a global approach to business from the beginning. Teja also points out that there is a rich pool of graduates for startups to choose from. University of Toronto and the University of Waterloo are two of the top schools for engineering and entrepreneurship in Canada and most their students’ top choice for employment is working locally for a startup. Europe has six representatives in the top 20 in this year’s report: London (#3), Tel Aviv (#6), Berlin (#7), Paris (#11), Stockholm (#14), and Amsterdam (#19). After all the Brexit-mess of 2016, it is interesting to see that London’s vibrant startup environment hasn’t been destroyed. In fact, London moves up three places since the last report, improving in categories such as funding and startup experience since 2015. The London startup ecosystem has been undeniably growing rapidly over the last few years and it’s reflected in the ranking, with London rising to the third place, ahead of even Beijing. They have worked hard to build a strong and well-balanced ecosystem. Of course ecosystem growth and more scale-ups also results in some challenges for its early-stage startups in competing for experienced talent. Clearly they have special skills at scaling startups, and we have to say they do so at an amazing rate considering the small size of its ecosystem. Lean and mean they are. Its startups reported challenges with getting access to talent with startup experience, but that’s an issue that can come with fast ecosystem growth. Its about time that one of the cities in the Nordic countries reach the top 20, because as we already know, Scandinavia has great work culture. One of Stockholm’s greatest strengths is the outwards looking of its startup scene. The domestic market consists of less than 10 million, so it’s considered common sense to get straight into global expansion. The forward thinking of the Swedes has paid off as the startup ecosystem in Stockholm is in the top ten for the subcategories of global connectedness, funding quality, and exit values. This is evident by the huge success stories out of Sweden, such as Spotify and King, the company behind the crazy addictive Candy Crush. Asia and Europe are gaining on the US when it comes to thriving startup ecosystems. Many governments in Asia and Europe have set clear goals to support growth of their innovation ecosystem, while the US has trusted in its private sector to maintain growth. Singapore is one of the places where the government had an active role in creating a startup-friendly environment. This year, Singapore ranks number one in talent which is an amazing feat. This can be accredited to Singapore’s innovative policies that began in the 1990s. This long-term thinking has been the key to Singapore’s success as a great startup city. The government has been patient and kept its support, but Singapore only appeared in the top 10 ranking for the first time in 2015. For the first time we can all see the comparative strengths of Beijing and Shanghai with the rest of world. Beijing’s amazing performance at creating large scale-ups is confirmed with its second place in our performance factor, and third place overall, but the lack of global connections of its startups was also clear. Shanghai takes a surprising eighth place overall with its strong early-stage funding, how it attracts talent and resource from all over the world, and how globally connected its startups are. There are certainly a number of cities to look out for in the Asia/Pacific region when it comes to startup ecosystems. Gauthier also mentions Sydney’s ecosystem for its balanced scoring. The city has strengths in every factor that Gauthier and his team analyzed, with strong exits, global networking, and funding. However, some indicators of success gave some concerns, especially the number of startups and their total valuations. Sadly, no African city reached the top 20 this year, however, that doesn’t mean there aren’t any thriving tech startup ecosystems on the continent. The three African cities that were discussed in the report were Lagos in Nigeria, and Cape Town and Johannesburg in South Africa. The startup ecosystem in Lagos doesn’t rank high in global comparison, but at two billion dollars it is the most valuable one in Africa. Lagos is not particularly well connected and the tech scene is relatively inexperienced. The city makes up for this with English-speaking low cost engineer talent and you shouldn’t be surprised if Lagos will work its way into headlines in the future. However, Cape Town is still the largest startup ecosystem of the continent with 700 to 1,200 active tech startups. Just like Lagos, Cape Town scores pretty low in global connectedness which isn’t good news as a high score is a predictor of success. Still, Cape Town scores high in regional context in funding and has low cost engineering which might propel its startup scene to a higher level. We’re organizing the StartupCity Summit during TNW Conference in Amsterdam. It’s an initiative focused on connecting startup cities with their international counterparts to share insights and discuss the current and future role of local governments in rapid developing startup ecosystems. The Summit takes place on day two of TNW Conference, May 19th, from 12:30 until 17:00. Don’t want to miss it? Book your one day ticket or schedule a call for more information.